Fierce whirlpools swirl and churn in the seas of Naruto, creating giant waves, as the water is turned and rolled in the currents. 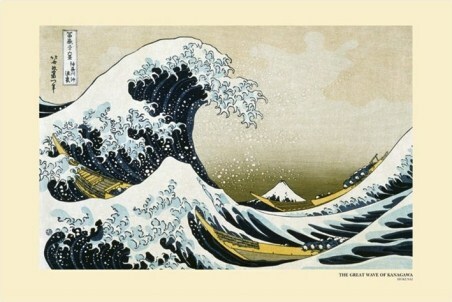 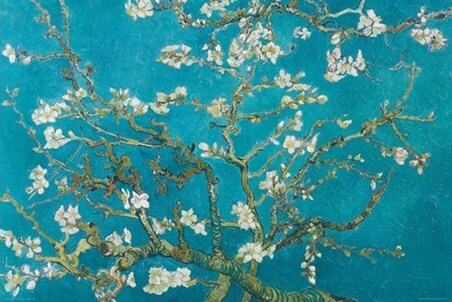 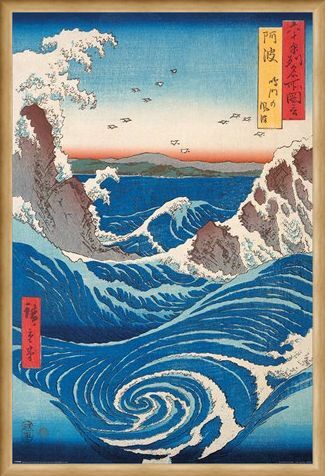 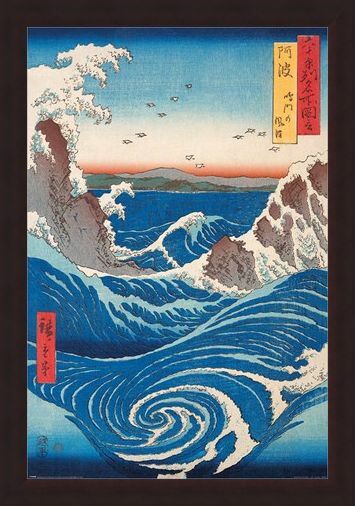 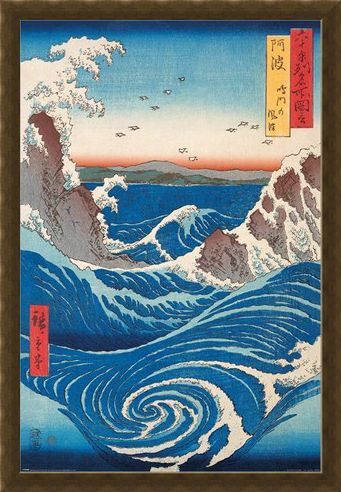 Using a traditional technique of wooden block printing, Japanese artist, Hiroshige, has captured the violent nature of this infamous stretch of water with his use of bold colour and strong lines, making this scene one of his most famous masterpieces. 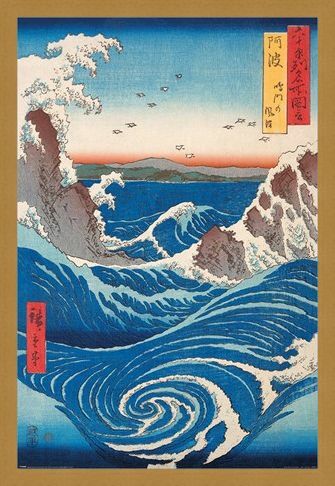 The contrast of crashing waves against an almost tranquil coast line, with a flock of sea birds flying high above, is the perfect balance for any contemporary home, so add this striking poster to your collection of Japanese art for a breathtaking focal point in any room. High quality, framed Naruto Whirlpool, Hiroshige poster with a bespoke frame by our custom framing service.